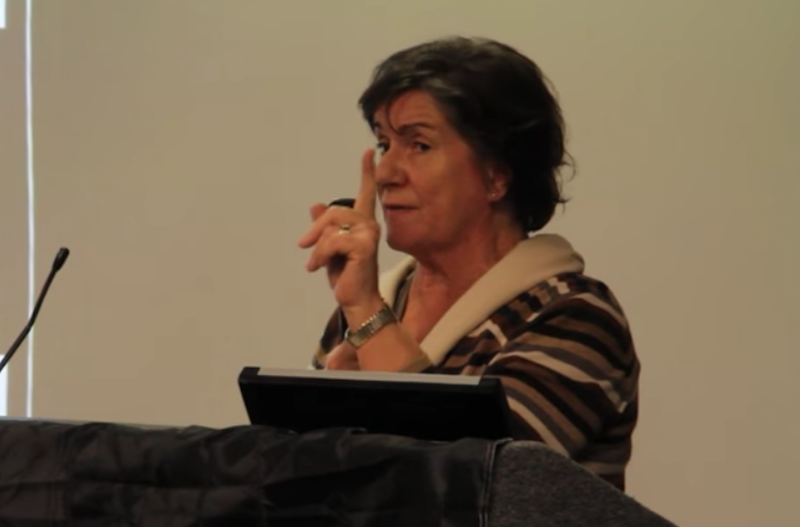 (JTA) — Jenny Tonge, a British House of Lords lawmaker with a history of making anti-Semitic statements, suggested that the Pittsburgh synagogue shooting was the fault of Israel’s policy toward Palestinians. “Absolutely appalling and a criminal act, but does it ever occur to Bibi and the present Israeli government that it’s [sic] actions against Palestinians may be reigniting anti-Semitism?” wrote Tonge on Facebook Saturday. Bibi is the nickname of Israeli Prime Minister Benjamin Netanyahu. Tonge’s text was about a URL to a Haaretz article about the shooting that day at the Tree of Life synagogue in Pennsylvania’s second-largest city. At least 11 people were killed in the attack, which occurred as worshipers were celebrating a brit milah, or circumcision. The alleged gunman, a 46-year-old white male named Robert Bowers, shouted “All these Jews need to die,” according to reports. Last year, Tonge, who was suspended from the Liberal Democrat party for anti-Israel rhetoric and later quit over the suspension, accused pro-Israel Jews of creating anti-Semitism in Britain by not criticizing the Jewish state. The post later disappeared from Tonge’s Facebook feed. She later posted a quasi retraction, citing a post by Robert Cohen, a British blogger on Israel and the Palestinians. “I bow to this great article by Robert Cohen and acknowledge that to think that the Israeli government’s persecution of the Palestinian people had anything to do with the actions of this gunman, may have been too hasty. We must wait for his trial and testimony to try to understand better this ‘white’ supremacy movement in the USA,” she wrote.